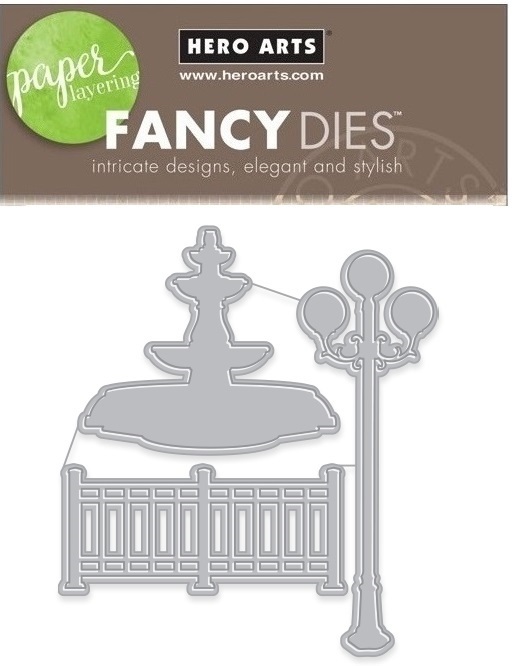 The Hero Arts European Plaza Fancy Die set contains 3 dies, depicting a fountain, fence and lamp post. The lamppost die measures approx. 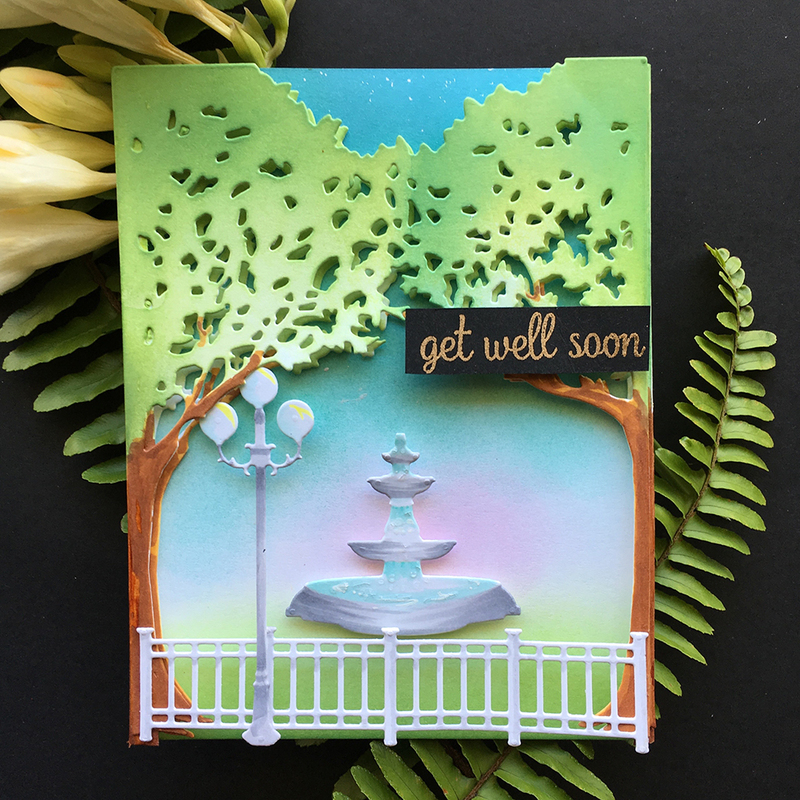 : 1" x 3"
The Fence die measures approx. : 2.125" x 0.95"